Despite the sickening amounts of different eye shadow colours I have, I am constantly fighting the urge to create deep, warm, pumpkin spice coloured eye looks every time I pick up my blending brush. Without a doubt, is one palette in particular that I always reach for, whether I'm creating a dramatic smoked out look or a natural soft one. 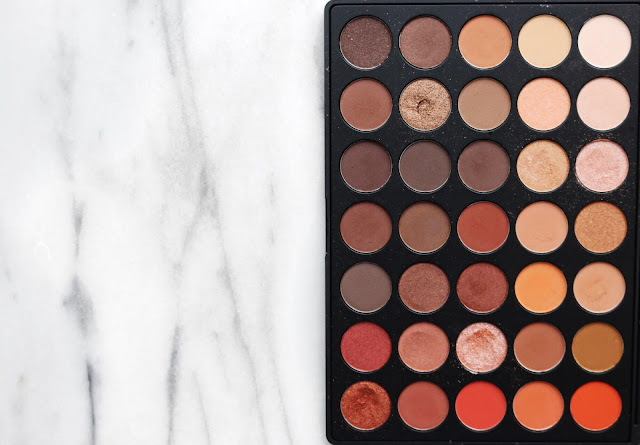 The product in question is the Morphe 350 palette. This gorgeous palette took the internet by STORM a while back, and has since been a constant sell out every time I went to buy it. So, you can image my excitement when I received the email telling me it was finally in stock on Cult Beauty. I went on to the website and put this little beauty in my basket quicker than Usain Bolt at the Olympics. 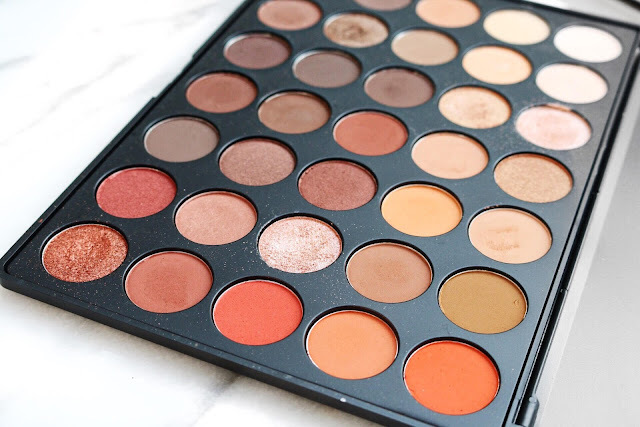 The palette contains 35 colours and is a mixture of matte and shimmer shades. The colours boast a spectrum of reds, browns, oranges and golds - pretty much making this the ultimate forever palette. In addition to containing every colour you dream of after a good scroll through your Instagram feed, the quality of the shadows themselves is amazing, especially considering the bargain price. The colours are all extremely pigmented, easy to apply and blend. I tend to find with mixed texture palettes, the shimmer shades let the side down but these shimmers blow me away. They are gorgeously foiled and only require a little bit of layering to create the ultimate sparkle in your eye look. TYSM Morphe. 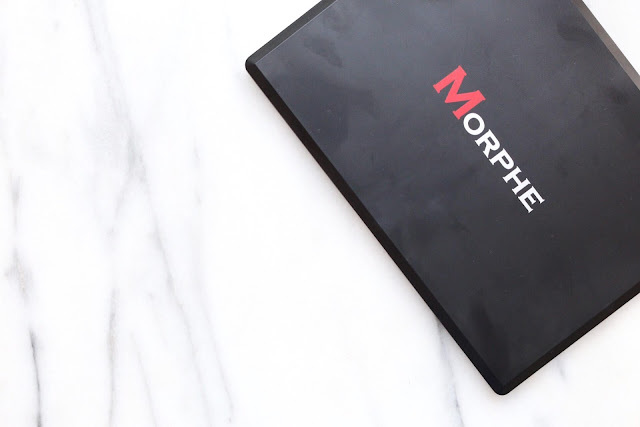 Whether you're a professional makeup artist or if you're new to makeup and looking for a great starter palette, the 350 is definitely a must for any makeup collection. So, if you buy ONE thing, I'd definitely recommend getting your hands on this little gem, it absolutely is as good as it looks.